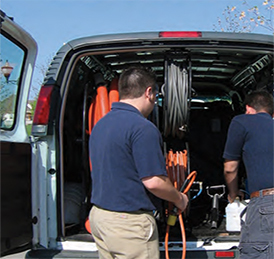 Truck Mount carpet and upholstery cleaning units use hot water extraction, and can be quite large and powerful. General Pump’s Emperor pumps are ideal for handling the high temperatures required. Contact us to ensure you get not only the pumps you need for your truck mount unit, but the accessories as well.